Welcome to the 75th part in our series of troubleshooting articles dedicated to the Samsung Galaxy Note 3. Released last 2013, this model is still quite popular today and is in fact much more powerful than most of the latest Android models released in the market. On the software side, this model was released initially running on Android KitKat. It has now gotten the official Android Lollipop update and hopefully will also be receiving the upcoming Android M.
In this latest installment of the series we will tackle some of the latest emails our readers have sent us concerning the issues they are facing with their phones. If you own a Galaxy Note 3 or any other Android device for that matter then feel free to send us an email at [email protected]. We will be more than happy to assist you with any concern that you may have with your device. This is a free service we are offering with no strings attached. We however ask that when you do send us an email ty to be as detailed as possible so that an accurate assessment can be made and the correct solution can be given. Problem: Hi, I have a Samsung Note 3 on 3 Mobile here in the UK, which I recently updated from Kitkat to Lollipop when the notification came through. Since the update I have experienced problems with battery life/ heat build-up and laggy/ hanging apps but these have more or less been resolved by updating apps, and by soft reset & deleting the user data cache partition. However, I’m still having problems with the camera and/ or Gallery app. The Gallery app freezes/ hangs/ crashes every time I try to use it; photos don’t appear in it although I can find them using Samsung My Files. This seems to be the case with or without a micro SD card fitted. I have also carried out a factory reset and formatted the memory card, all to no avail. Can you shed any light on this problem? Your assistance would be greatly appreciated. Many thanks. Solution: Are your photos stored in the microSD? If they are then try to use a different microSD and check if the issue still persists. If it doesn’t then the issue is most likely caused by your microSD. You should replace this with a new one. If the issue still persists even if you use a different microSD then the next step is to check if the issue is caused by a certain third party app installed in your phone. To do this, you should start your phone in Safe Mode. When ‘GALAXY Note 3′ appears on the screen, release the Power key. Immediately after releasing the Power key, press and hold the Volume down key. Check the camera and gallery app. If it doesn’t freeze then the issue may be caused by an app installed in your phone. Find out what app is causing this to occur and uninstall it. If the issue still persists even in Safe Mode then you should try to check if there are any new software updates available for your phone as this may contain a fix to this issue. Problem: I ran across your website and thought you may help with some issues I’ve been having with my phone since it has been updated to Lollipop in February 2015. 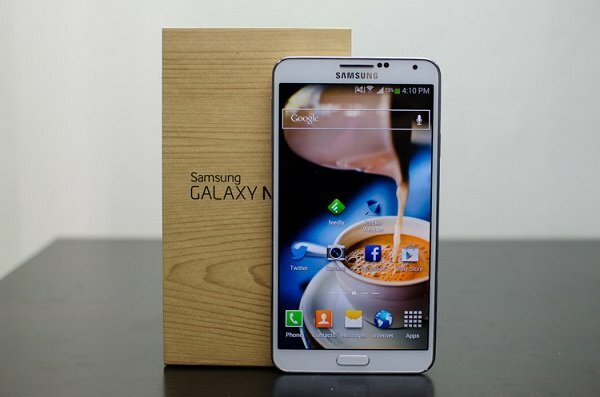 I have a Galaxy Note 3 (SM-900T). Running Android 5.0 on T-Mobile’s network in the United States. The issues are minor inconveniences, but I’d like to get them resolved. There doesn’t seem to be any pattern that I can detect as to when the issues arise. 1 – Some apps will lag, especially the camera. There are some instances when I press the shutter button to snap a pic, and there’s a 4 or 5 second delay before the picture is taken, and then another 4 or 5 seconds before I can view the pic. 2 – The screen will freeze for a few seconds while scrolling. Sometimes i have to exit and re-open the app when this happens. I haven’t noticed it on my stock email app, but it happens quite often while using the browser (stock or Chrome) or when on any app that connects to the Internet (news apps, Facebook, etc.). 3 -On some occssions, when I press the power key to unlock the phone, the lock screen will either be completely black, or will look like TV static, except for a small strip running top to bottom on the center of the phone that shows my actual lock screen picture. Performance of the phone overall seems to be down, expecially in the last few weeks. I have quite a bit of free space on the device (using 14.49 gb of 32.00 system storage, and 4.36 gb of 14.61 in SD storage), and I have had more or less the same apps on my phone for a while now. Any help with fixing these issues would be greatly appreciated. Thanks. Solution: It looks like several issues have appeared after you updated your phone to Android Lollipop. The best way to proceed in this scenario is to back up your phone data and then perform a factory reset. This procedure deletes any old system data that may have not been completely removed during the upgrade process. This old data usually causes a conflict with the new software version causing these issues. Problem: Hi, First i wanna say thank you for offering help on Android problems. Anyways, my issue is.. I am a Samsung Galaxy Note 3 user and I have updated my Android OS to Lollipop and after restarting my phone l, a lot of my apps were completely gone. Worst is some of these are the Samsung Apps which I dont know how to find and install them again. I cant even open the Google Playstore to add. I’m so desperate.. is there a hope of recovering these apps? Please help me. Solution: This appears to be an isolated case as we have not received this kind of issue before. You should try to take out the battery of your phone will it is turned on. Leave the battery out for 5 minutes then reinsert it. Turn on your phone and check if the missing apps are present. If the issue still persists then back up your phone data then do a factory reset. Problem: I recently bought a used galaxy note 3. Its a T-Mobile phone but its unlocked and with Metro PCS phone Service. Im trying to update it but once I get to the step where it actually reboots the phone an error message appears and it says Update download failed returning to factory settings. What do you suggest I do to get the recent update? Solution: Are you trying to get the update OTA? You should try to use Kies. Just download Kies on your computer then connect your phone using a USB cord to the computer. You will be prompted once an update is found. Just follow the onscreen instructions to update your phone. If the update still fails when you use Kies then your last option is to use Odin. Unzip the downloaded firmware zip file on your computer. Reboot your Galaxy Note 3 in download mode (Volume Down + Power + Home button). Connect your Galaxy Note 3 via USB cable to your computer and wait for Odin to recognize it (a blue box should appear next to ID:COM). Make sure only Auto-Reboot and F.Reset Time are checked in Odin. Make sure Re-Partition IS NOT CHECKED. Click the AP button and locate the tar.md5 file in the unzipped firmware file and hit Start. Do not disconnect your Note 3. It may take a while. You should see a green PASS message when successful. Problem: Droid guys, I updated to Lollipop 5.0 and now I can’t figure out how to ‘delete all’ emails at once. There is no, delete all, when you press on the lines on the bottom left of the phone. That’s how I was able to do it when it was Jellybean 4.3. I have so many emails that it would take forever to click on each box next to every email. There must me a mass delete that I just can’t find. I hope you can help me. Solution: It looks like the delete all email option has not been included in the latest Lollipop update. While it is definitely a more efficient way to delete hundreds of emails at once there is also the disadvantage of deleting an important email. One solution to your problem is to try some of the top rated email apps available at Google Play Store and check if one of them has a mass delete email option. Problem: Hi, My samsung note 3 fell on its side on hard concrete and ever since hasn’t been able to connect to any mobile network. How can i fix this? Solution: The SIM card may have been mispositioned when the phone dropped. Turn off your phone then take out the SIM card. Insert it again properly and make sure that it is properly aligned in its SIM tray. Turn on your phone then check if you can now get a signal. If there is still no signal then try to go to a different area that is known to get a good signal reception. You should also contact your carrier to inquire if there are any network related issues in your area. Once you have ruled out the SIM and network then the most likely cause of this issue is that the hardware of your phone may have been affected by the drop. You should bring your phone to an authorized service center and have it checked. Problem: Hey guys, I updated my Verizon Note 3 to Lollipop a couple weeks ago and recently my Wi-Fi connection does not allow my phone to have internet access. My 4g works perfectly but any time I connect my phone to a Wi-Fi network and it shows “connected” my phone says it has no internet connection and cannot load any web browser, games, or anything else requiring data. I was wondering if you have any idea what’s causing this or how to fix it. Any help would be greatly appreciated. Solution: This is a common issue to a lot of people who updated their phone software to Lollipop. On way to resolve this is to forget the Wi-Fi connection then reconnect to it again. You should also update the apps in your phone or uninstall he outdated apps that don’t have any available update yet. One solution that works for most people is to do a factory reset. Make sure to back up your phone data before performing this procedure. Problem: Dear Droid Guy, thank you so much for the website and providing so many useful tips and help solving problems. I recently did the system update on my Galaxy Note 3 (Verizon) to Android 5 Lollipop. Oh what a mistake this seems to be. Ever since the update, my phone signal has diminished terribly. I am often in 3G or worse, rarely in 4G, and many times I don’t have sufficient signal strength to run any data apps (Google Maps, Facebook, Gmail, etc.). This is happening in the same locations I had full 4G service before the update. I badly wish I could go back to the earlier version. I’ve read in your posts that “going back” is all but impossible. Can you please help me fix this loss of signal issue? I’m ready to ask Verizon to let me go back… or get a new phone! Thank you. Solution: Before getting a new phone or going back to the previous software version try to do a factory reset on your phone first. Make sure to back up your phone data before proceeding. If the issue still persists then check if there are any new software updates available. The new updates may have a fix to this issue. Problem: I have the note3 and the network mode is not an option on it. It has the updated lollipop on it. How do I check the network mode? Solution: What carrier are you using? Your carrier may have disabled this feature in the Lollipop update. Try to contact the technical support group of your carrier and inquire on this. If this option has not been disabled by your carrier then proceed with backing up your phone data then perform a factory reset. Problem: I have a Samsung note 3 SM-N9005 Android version 4.4.2 My problem is no sound it was working fine then nothing I can get it to vibrate on incoming calls again no sound I can get sound through head phones or if I go through blue tooth head set. I also cannot get the speaker to work on speaker calls. but if I except when it vibrates I except the call I can talk and hear the person as normal. Ive messed about with pulling battery out setting to factory reset wiping everything and doing a restore from my computer. What a pain can anybody help please . Ive replaced the 3.5 jack plug assembly thinking it might have been stuck in headphone mode. Solution: It appears that this may already be a hardware related problem. You should bring your phone to an authorized service center and have it checked and repaired. Problem: Hey once I updated the last update for android. My music keeps crashing whenever I try to switch from my songs to any other Playlist like if I want to go to artist it crash. When I want to go to albums it crash. When I want to switch over to anything besides song it crashes. It’s extremely annoying. Solution: You should try to clear the cache and data of your music app. This usually resolves this type of issue. From the General tab, tap Application manager. Swipe left to the ALL tab. Scroll to and tap the Music application. Problem: The problem with my Note 3 is Even if the headphone is not connected, the notification shows that Headphone is connected. When I play any video or audio i can’t listen from the phone speaker, but if the headphone is connected then i can hear the sound and when the headphone is removed can’t hear any sounds from the phone. If anybody calls me I can hear the ringtone without the headphone being connected. Please suggest any solution for the problem. Thank you. Solution: If your phone has a case or enclosure then remove it first. Using compressed air (or your mouth), blow directly into the audio port of your phone. This dislodges any dirt or lint that may be found inside. You should also follow this up by cleaning the audio port using a toothpick. Connect a pair of headphones into the audio port and make sure it is inserted completely. Pull out the headphones. If the headphone icon is still present then connect and disconnect the headphones a couple of times. If the issue still persists then back up your phone data and do a factory reset. Solution: Have you tried to have Sprint check on your account? This may be an account related issue. If your account does not have any issues then you should consider reflashing your phone software using Odin. Problem: I have bought my phone from United Arab Emirates and still no lollipop for it. The phone is free of carrier works on any if i need to do some screenshot tell me. I run 4.4.2 and lately works hard even after factory restore. Should i wait a little longer for lollipop? I like the official from samsung no odin and root stuff. Solution: You should try to connect your phone using a USB cord to a computer running Kies. You will be notified of an update once it is available for your phone. To update your phone just follow the onscreen instructions. Problem: Hello, I recently went to a guy to have him unlock my Sprint Samsung Galaxy Note 3 phone. He then changed my phone service provider to Simple Mobile which I believe is also a TMobile product. Well immediately upon the switch over I notice that the sound quality of my phone calls are terrible. One moment its clear and they next second its muffled. It sound more like how it sounds when one talks in front of a box fan. My callers say they dont hear me well either. It also sounds like this when your just dialing a number. Is there a fix for this? Please help me. Solution: This may be a SIM or network related issue. Have you tried using a different SIM in your phone? If not then try using another SIM. If you can use a SIM of a different carrier then it would be much better. If the issue is still the same then this may not be a SIM or network related issue. Your next step is to isolate nay app related causes. To do this, start your phone in Safe Mode. Make a call while in Safe Mode. If the problem disappears then it may be caused by a third party app installed in your phone. Find out what app is causing this and uninstall it. If the issue still persists even in Safe mode then you should back up your phone data and do a factory reset. Solution: You should try to use a different wall charger when charging your phone. If that does not solve the issue then try to replace your phone battery. If the issue persists then back up your phone data and do a factory reset. Problem: Love what your doing here. Going to see the zit faced kid behind a retail counter does nothing but confuse people. All they wanna do is sell u a new phone… anyway my latest issue is loss of Internet. Runs along fine and suddenly has no Internet unless I’m on Wi fi.. then it’s fine. I have reset the device and downloaded nothing. I do allow it to update everything… Thank god for Google back up… it will run fine for days or even months then goes south again. It’s an att phone that I unlocked an have been on straight talk now for about a year. When I reset the unit it loads up the APN settings on its own. Looks like it’s all TMobil settings. I have added what straight talk says to use but they don’t work. I suspect a bug or virus of somesort. Do you agree and what should I try to fix the old girl? Solution: You should first check if your account has access to mobile data. Next, make sure that your phone has the correct APN settings. If you are on Straight Talk then make sure your phone has the Straight Talk APN set.